East meets West! History was made 150 years ago when the Transcontinental Railroad was completed in Promontory, Utah on May 10, 1869. A face-to-face meeting of two locomotives and the driving of silver and golden spikes to join the last two sections of track were the climax of the famous Golden Spike ceremony. 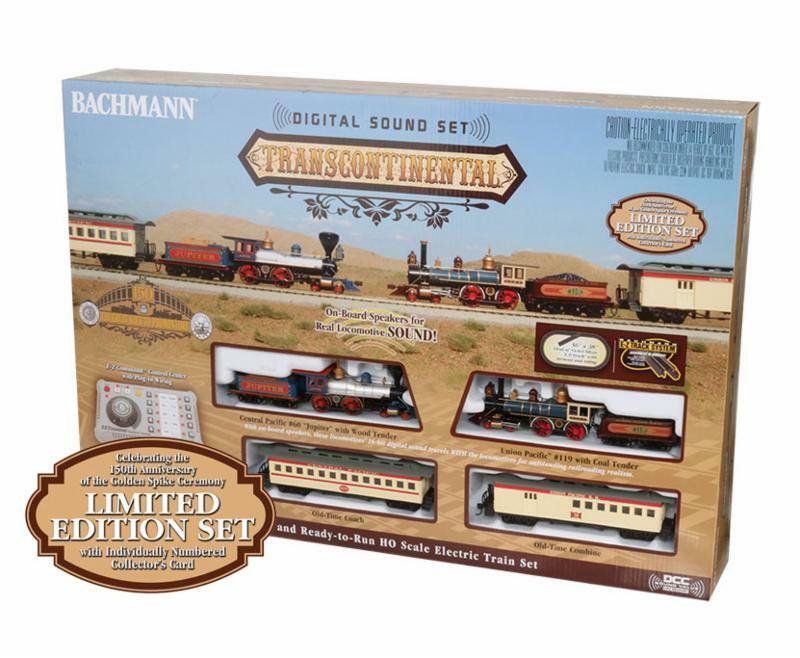 Now you can celebrate this momentous event with the DCC sound-equipped Transcontinental train. This Limited Edition ready-to-run set has everything you need to get started in digital model railroading. 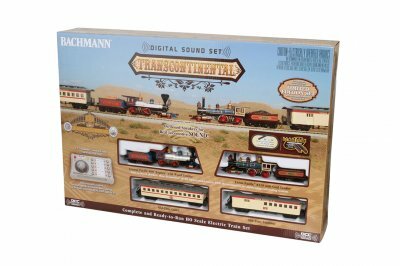 It includes Bachmann’s exclusive, easy-to-use E-Z Command® digital system that lets you independently control the sound, speed, direction, and lighting of two decoder-equipped 4-4-0 commemorative locomotives. Relive all the sights and sounds of this historic meeting with the Transcontinental with Digital Sound!